Casino gambling in the Philippines is governed by two specific jurisdictions within the Islands: the Philippine Amusement and Gaming Corporation (PAGCOR) and the Cagayan Special Economic Zone. These two gaming districts handle the licensing and regulation of the various brick and mortar casinos found throughout the nation. Along with land-based casino gambling, PAGCOR also licenses and regulates online gambling businesses. Despite being licensed by a Filipino district, the online gambling businesses operating out of this region are not permitted to offer their services to Filipino players. They are legally allowed to offer their betting and gambling services to players outside of the Philippines Islands. It is not illegal to operate an online casino in the Philippines, however, it is illegal to offer casino gambling services to Filipino players when operating an online casino that is based within the nation’s borders. However, Filipino players still have access to legally sanctioned online casino gambling through licensed and regulated offshore casino destinations online. If there were any doubt as to this fact, a court case from 2012 resulted in a ruling that verified that the Philippines gambling laws do not prohibit players from participating in placing bets online. This means that Filipino players can legally enjoy online casino gambling at destinations that are licensed, regulated and located outside of the Philippines. In addition, it is perfectly legal for players to access and bet at mobile sites as long as they are operated by licensed and regulated offshore casino operators. You can learn more about the legalities in different areas in our guide to Philippines legal casino gambling by region. PD No. 1067-A created the Philippine Amusement and Gaming Corporation (PAGCOR) and defines legal gambling in the Philippines. The Decree also defines PAGCOR’s powers and functions and how funding will be provided to the government corporation and how revenue will be collected and used by PAGCOR. Signed into in law in 1975 by then president Ferdinand Marcos. PD 1602 creates harsher penalties for illegal gambling activities. Section 1 lists activities that are usually associated with legal gambling in the Philippines: Basketball, Boxing, Slots, Poker, Soccer, Football, Volleyball, Horse racing, Pinball and about every other sport you can think of. It states that the punishment for wagering on those games without proper licensing shall be punished by prison and a fine up to 6 thousand pesos (PHP). Section 2 gives an informants reward of 20%. PD 1869 is the charter of the Philippine Amusement and Gaming Corporation (PAGCOR) of how to properly regulate the gambling industry. It gives guidelines for PAGCOR to follow to authorize, license, and regulate all games of chance within the Philippines while laying out the legal framework for corporations to obtaining licenses. The Republic Act 7922 established a special economic zone in the Cagayan Valley to be known as the Cagayan Economic Zone while including neighboring islands and the city of Freeport. Section 4 of the act ­­­lays out governmental principals while section 5 creates the Cagayan Economic Zone Authority (CEZA). The rest of the act contains legal information about CEZA compensation, supervision, auditing and legal counsels. The Republic Act 9287 was written into law on April 2nd, 2004 and was enacted by the Senate and the House of Representatives of the Philippine Congress. The Act increases the penalty for illegal numbers games and its implementing rules. The second section (2) of Executive Order No. 13 order clearly defines illegal gambling as any activity not authorized by an operator’s licensing authority. Transcribed to combat illegal number game operators in an effort to endorse state-run lottery services. Section 3 reinforces the policy of not allowing Filipino players access to Philippine licensed online casinos and sportsbooks. Outside players are targeted by Filipino online casinos while Philippine players are still allowed to play offshore legally sanctioned online casinos and sportsbooks. Implemented by the Philippine Anti-Money Laundering Council (AMLC) on November 4th, 2017 the Republic Act 10927 entails special requirements for all Philippine-based casinos to follow. The law requires for casino owners to implement risk management policies and to keep records for their players for at least 5 years. Casino owners are now ordered to allow compliance checks when the AMLC suspects a case of money laundering or terrorist financing. This new act also affects players. Players are now required to give more detailed information about themselves before setting up an account and no more aliases will be accepted. The AMLC will also now be notified whenever there is a bet or a transaction of $100,000 USD or more. Failure to abide by this new act will result in stiff fines and/or penalties and could lead to a revoke of operating licenses. Where Can I Find Legally Licensed Online Casinos Accepting Filipino Players? You could easily do a simple Google search to find a list of online casinos that welcome players from the Philippines. Please allow us to caution you from this course of action. Just because an online casino accepts Filipino players does not make it a legally sanctioned online casino or a high-quality destination that operates according to industry standards and licensing requirements. One of the objectives for creating this resource guide was to assist players in finding the leading Filipino online casinos operating legally within the industry as well as helping players avoid questionable, predatory or low-quality destinations. This guide provides a listing of recommended Philippines friendly online casinos. The list was comprised following an intense review process that closely examined online casinos that accept players from the Philippines. We carefully evaluated their legal standing within the industry, the existence and validity of their compliance certifications, the quality of their software solutions, services and security profile, and their reputation within the industry. We literally review hundreds of components of each brand, effectively eliminating undesirable locations while revealing the top brands worth visiting. 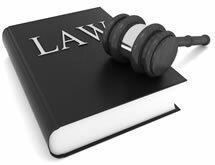 You can find a list of legal online casinos that accept players in the Philippines here. Why Can’t I Participate At Online Casinos Located In the Philippines? The gambling laws in the Philippines are quite strict when it comes to operating an online casino within the nation’s borders. While these businesses are free to offer casino gambling to players anywhere outside of the Philippines, the law clearly specifies that it is illegal for locally licensed internet gambling sites to offer their services to Filipino citizens. Thankfully, the law does not simultaneously make it a crime for Filipino players to place bets online, hence players are free to engage in legal online casino gambling from offshore gambling sites. With the gambling industry in the Philippines currently flourishing, it is not outside the realm of possibilities that the laws may evolve to expand the online gambling opportunities within the island region, however, there have not been any moves in this direction thus far. What Is The Minimum Gambling Age In The Philippines? The gambling laws in the Philippines have established that gamblers must be at least 21 years of age in order to participate in casino gambling. This law is taken seriously by the Filipino government in an effort to eliminate the risks of underage gambling. Violators will face legal consequences. While the laws in the Philippines generously allow offshore online gambling, the legal minimum gambling age still applies to this type of gambling entertainment. That means that if an online casino or poker site allows players to register at age eighteen, Filipino players must still wait until they are twenty-one years old to place bets at these sites. These restrictions established within the nation’s laws trump the policies of gambling websites. Are There Any Other Forms Of Legal Online Gambling Available For Philippines Residents? Yes, there is. Legally sanctioned offshore gambling sites that are available to Filipino players include legal Philippines online poker sites and legal Philippines online sports betting sites. The same rules apply to offshore poker sites and sportsbooks, so as long as the gambling sites are not operated within the Philippines, then there is nothing illegal about enjoying real money gambling at these destinations.